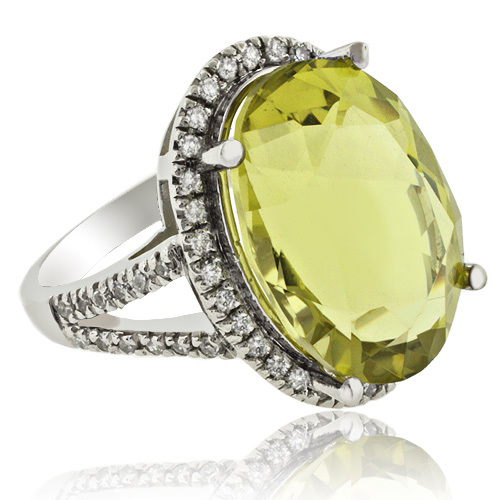 Huge Natural Yellow Citrine (12.8 ct) 14K White Gold Ring with genuine natural diamonds (1 ctw), the citrine gemstone is 100% genuine and AAA quality. Also the Gold is Pure solid 14k white gold. 18 mm x 13 mm.